These rules are based on the RN Code. They specify the necessary aspects for the championship. 1.1: Participants will respect the TC regulations. 1.2: Participants will respect the other drivers of TC. This is both on and off the track. On the track includes the chat function of rFactor. Off the track includes the forum, the private messaging system and the chatwing on the website. 1.3: Participants must be able to hear the admins on voice chat. 1.4: Participants must be recognizable in all TC areas. 2.2: Changes to the originality of the software may only be done with the permission of TC. Unauthorized changes will result in penalties up to and including removal from the grid and the season. 2.3: Changing the originality of the software for personal competitive advantage will result in a permanent exclusion from TC. 3.2: Server configuration / racing conditions may vary. Information will be given as early as possible. 4.1: The race thread must be read and minded. It contains the vital information for the race. 4.2: Briefing: During the briefing drivers must pay attention carefully. They are expected to know and mind everything addressed. 4.3: Should competitors miss 2 consecutive Grand Prix events without contacting the TC administration they will be relieved of their team contract. 5.1: Racing: We will race fairly and manifest a proper racing culture. 5.1.1: Tires: Dry tires are the only compound allowed during a dry race If a race is deemed a wet race by the Stewards then the Intermediate and Full Wet tire compound will be an option, in addition to the dry tires. Drivers can run any of the dry tire compounds determined for a Grand Prix and there is no rule stating that any compound has to be used. Failure to follow any of these rules will result in penalty up to and including disqualification and exclusion from Grand Prix Events. 5.1.2: Unless leaving or entering the pits, driving with all four tires off track is not permitted. Curbing is considered part of the racing surface. Two tires must be on track at all times. Any exceptions will be addressed in the drivers meeting prior to the Grand Prix. Failure to follow this regulation may result in post race penalties up to and including disqualification from the final grid. 5.1.3: Blocking in form of placing oneself in front of the opponent / hindering him on his way forward is not permitted. The opponent must always have the possibility to get beside. 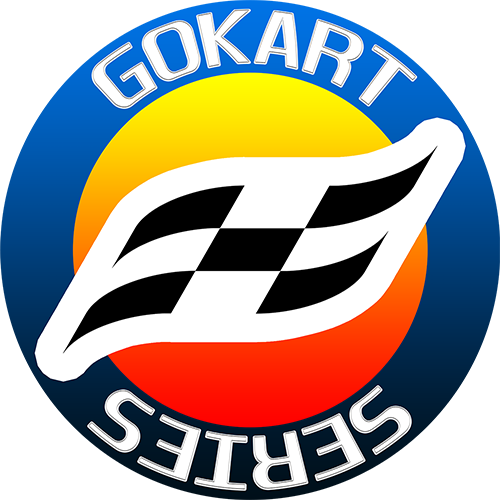 5.1.4: Squeezing / pushing the opponent to the limits of the race track is allowed as long as the opponent is given enough space to negotiate the track. The opportunity for both opponents to enter and exit all turns is the goal. 5.1.5: Positions gained by unfair driving, for example shortcutting or jumpstarting, must be given back. Positions not given back will result in post race penalties up to and including disqualification from the final grid. 5.1.6: Striking another car is not allowed. Contact is defined as bumping, punting, clipping and such. Striking or damaging another driver’s car will be reviewed and could result in post race penalties up to and including disqualification from the final grid. 5.2.1: If the car is too damaged, the driver must repair it. If the reparation is not effective enough then the driver must retire. 5.2.2: Missing parts must be repaired. The only exception to this rule will be the final 3 laps. 5.2.3: Drivers in slow cars must behave predictably. If they are extraordinarily slow and the situation does not allow safely reaching the pits then they must retire. 5.3: Unless explicitly instructed differently, drivers must use the full pit entrance, respecting the solid lines, when entering and exiting the pits. They are not allowed to slow down on the racing area. This can and will be reviewed. 5.4.1: The grid must wait for the green by rFactor for (re)starts. 5.4.2: At (re)starts, when green flies, overtaking before the Start / Finish line is permitted. 5.4.3: For safety reasons, drivers are recommended to stagger / drive in zig-zag formation during the pacing / yellows. This includes being staggered at the start. 5.5.1: When the yellow flag is waved, drivers must not pass. They must keep enough distance to the car ahead. 5.5.2: The physical leader of the grid must keep enough distance to the pace car. 5.5.3: If necessary, when the race restarts, the physical leader must accelerate to a reasonable speed before green. This will be addressed respectively when applied. 5.6.1: Blue flagged drivers are to let the lapping drivers by as soon as possible in an as safe as possible way. 5.6.2: Lapped drivers may only pass the lapping drivers if they are clearly and consistently faster or if the lapping drivers agree to have the lapped drivers race them. 5.7: For safety reasons, drivers must inform about their pit entrance and exit. 6.1: In case of organizational problems, the administrators will analyze the situation, consult any decisions and inform about the decision made. 6.2: Administrators will interfere as they see fit. If you want to report an issue, send the demanded info below to racinnexus@gmail.com. Only original recordings (such as replays) will be accepted as evidence. If you want to protest against a decision made by the admins, send the demanded info below to racinnexus@gmail.com. 8.1: Penalties are based on the regulations and most of all consideration of the admins. 8.2: Affected ones may be given warnings instead of punishments. Warnings are explicit signals concerning the behavior. 8.3: Repeat offenders will be issued penalties up to and including disqualification from the current and future Grand Prix. 8.4: All warnings and penalties will be issued via private message. There will be no public note of the warnings or penalties unless disqualification from the current or future Grand Prix is necessary. 9.2: Pole position is awarded with 1 championship point. 9.3: If there is a tie, the driver that has won the most races in the year is named the champion. If there is a tie for number of wins, the driver with the most second place finishes is named the champion. If there is a tie for wins and number of second place finishes, the driver with the most third place finishes is named the champion. The tie breaker rules work their way down the finishing order until the tie is broken.